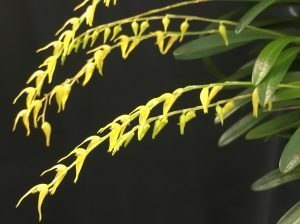 This charming miniature pleurothallis is native to the cloud forests of Costa Rica (as the name suggests) and Panama up to 1800m. 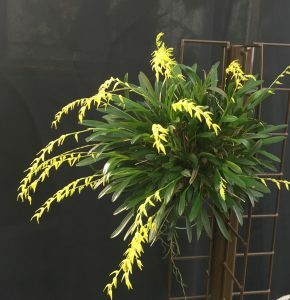 We find it thrives in low light in our Cool Americas section both mounted and potted where it produces its sprays of small bright yellow flowers sporadically throughout the year. We find that the species is slow growing but eventually makes a real specimen like this one.